J.K. Rowling’s Harry Potter is arguably the most critically and commercially successful children’s series of all time. Over the course of the next month or so, leading up to the release of the cinematic conclusion, we’ll be taking a look at seven elements—some pivotal, some relatively marginal—of particular theological significance within the series. Accio posto! It has become the brand. The focal, jagged-tail P that now crosses the screen of X-Box games and finds itself imprinted on bathmats and amusement park merchandise, will swell to life once again in the opening credits for the last installation of films on July 15. Harry’s lightning-bolt scar has become his Superman “S”, yet intriguingly so, as it represents the mark of a hero through an event of devastation and loss. Within the Potter chronicles, though, this seems to fit: it is only through the experience and confrontation of being wounded that one can truly live. ‘Is that where–?” whispered Professor McGonagall. “Bathroom,” he muttered, and he left the room as fast as he could without running. He barely made it: Bolting the door behind him with trembling hands, he grasped his pounding head and fell to the floor, then in an explosion of agony, he felt the rage that did not belong to him possess his soul, saw a long room lit only by firelight, and the great blond Death Eater on the floor, screaming and writhing, and a slighter figure standing over him, wand outstretched, while Harry spoke in a high, cold, merciless voice. 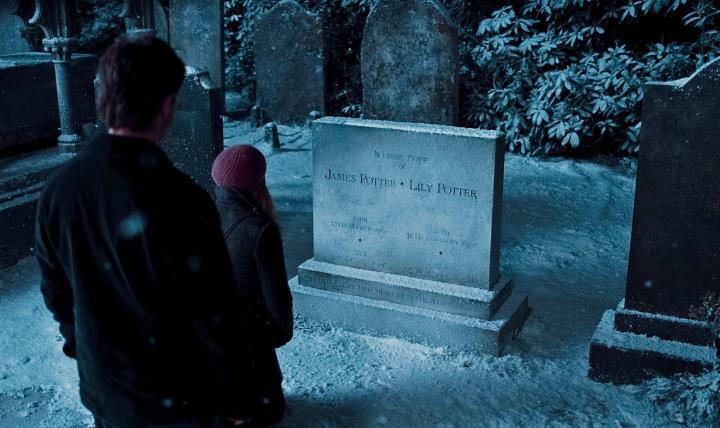 Part One of the Deathly Hallows film ends with the sacrificial death of the house elf Dobby, and Voldemort’s acquisition of the Elder Wand, or Deathstick. This moment, like the night that produced Harry’s scar, is marked by both the ineffable power of death and the unlikely power of love. 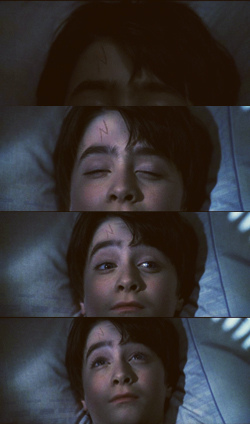 Harry finds that his mark of imputed love stands victorious, even here. To continue to Part 2: The Mirror of Erised, click here. Great post, ethan. Looking forward to more! Well done, my friend. I am intrigued as to what the other 6 might be. I don’t think I noticed the thread of the scar pulled through the books that explicitly, at least not in Deathly Hallows. Also, this is like a geeky fantasy of mine: make well-argued observations about media I love and have people comment on it. How dare you have such fun.